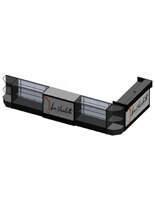 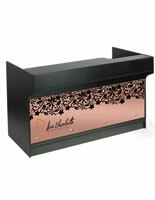 Always the popular choice for retailers, black retail cash wraps are our best-selling products. 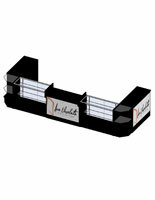 The color pairs itself well in almost any setting and highlights your merchandise in a professional manner. 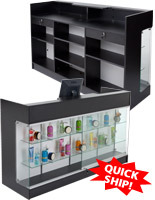 From simple service counters to 19-piece pre-designed solutions, our inventory offers real variety for the store owner, who can choose to buy large configurations or single components in which to design a custom layout unique to their store's interior dimensions. 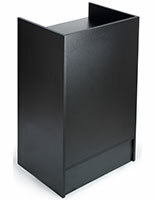 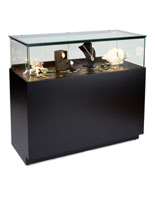 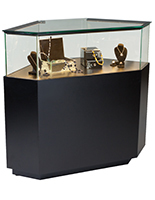 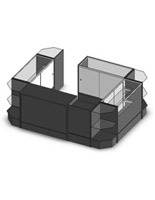 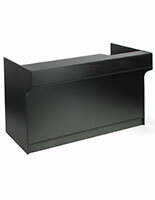 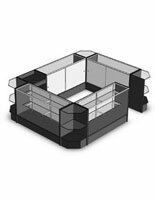 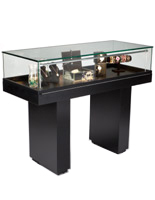 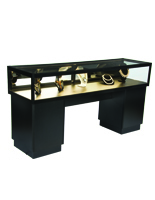 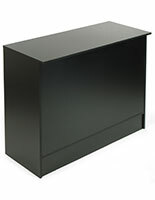 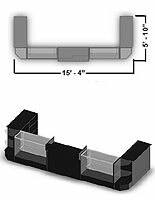 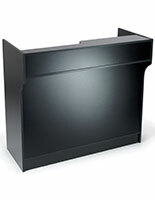 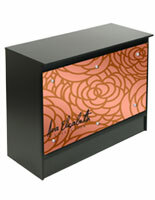 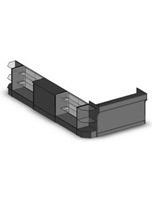 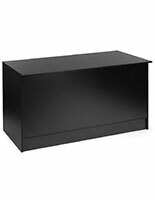 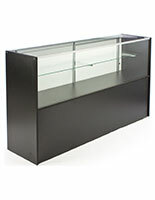 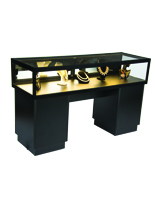 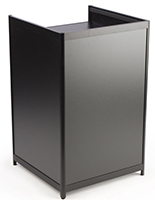 The backbone of any cash wrap design is the rectangular counter, available in 48" to 70" widths. 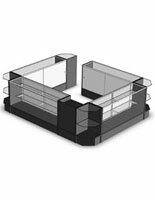 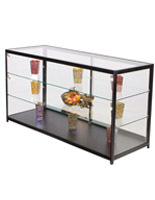 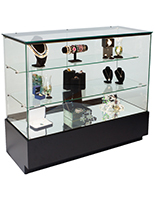 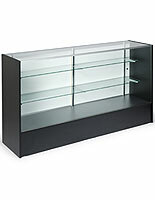 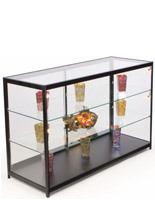 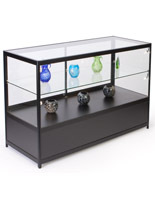 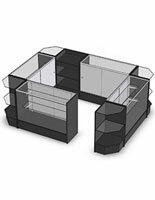 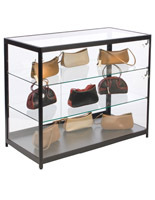 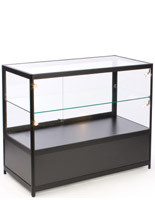 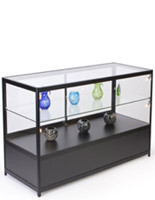 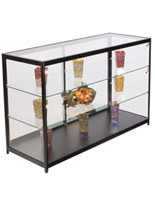 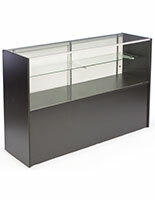 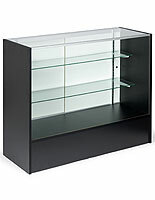 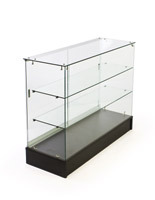 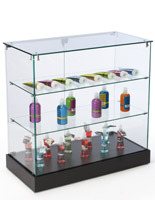 Either constructed from solid black melamine or incorporating "full vision" tempered glass walls and shelves, these showcases provide counter space for customer/employee interaction. 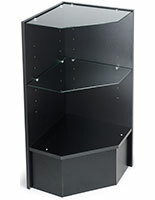 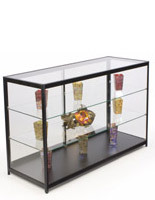 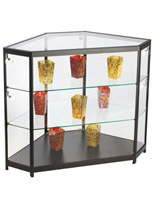 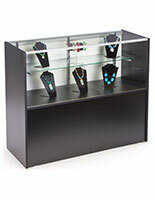 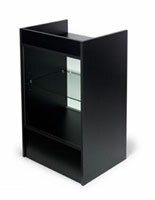 Corner units allow your cash wrap to turn 90° while still offering retail shelving space for merchandise. 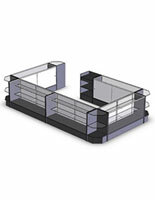 Register stands are yet another model that are smaller in width and designed for customer transactions. 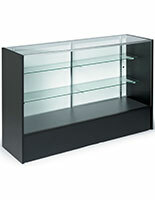 They also feature open interior shelving for supplies and such. 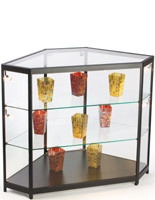 All styles are modular and can be combined simply by lining up each fixture side-by-side for a custom layout. 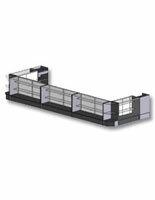 Stretch multiple showcases in a long line along the wall, or create a central island to act as a command center. 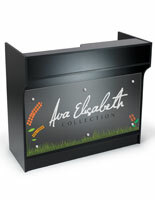 The display options are many! 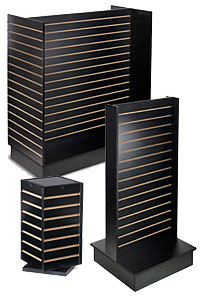 Whether you buy a single piece or a large configuration, your order ships out same day when purchased before 3PM EST.